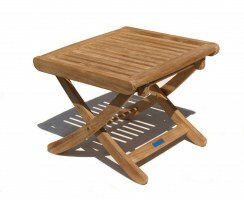 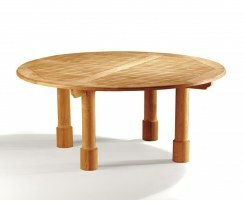 This Canfield teak round patio table is modestly-sized, perfect for smaller gardens, patios and balconies. 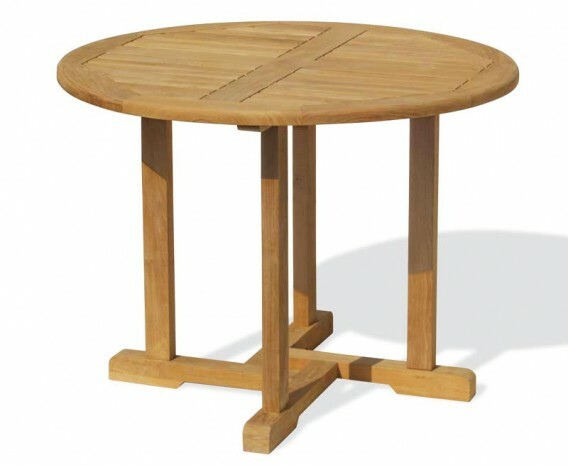 With a robust construction and an appealing cross-legged pedestal design, this round garden table is a delightful example of craftsmanship, quality and style. 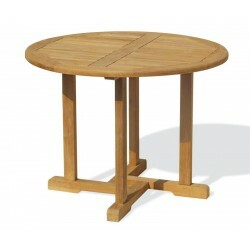 This Canfield teak round patio table is expertly manufactured from sustainable, grade-A teak, this circular wooden dining table has been built to stand the test of time. 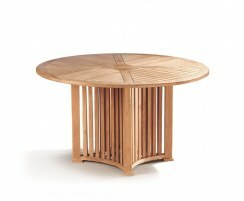 This round garden table can remain outdoors all year long, even in harsh weather conditions, requiring very little maintenance – we merely recommend occasional cleaning to keep it looking its best. 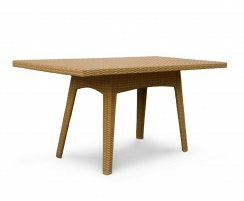 Finely sanded to a smooth finish, this teak round garden table features a pre-drilled parasol hole and is supplied with a flush-fitting teak insert for when a parasol is not required, and radial edges on the slats ensure your furniture dries off quickly after rainfall. 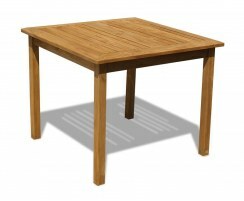 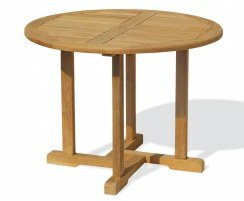 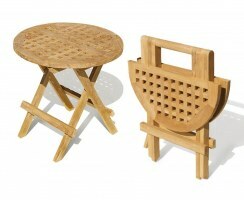 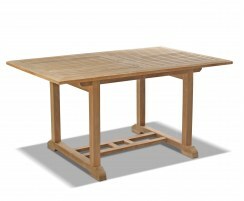 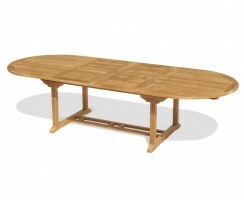 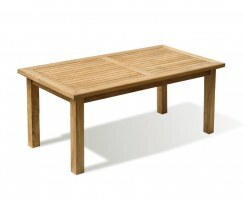 This teak round patio table will be delivered fully assembled for your convenience.